Attorney Aurelia Mitchell Durant, Philadelphia native and graduate of Temple University and Rutgers University School of Law, is a leading legal adviser and commentator, specializing in international business law, corporate law and intellectual property law. She has been speaking and practicing for over 20 years, teaching and educating her clients while keeping them up to date with constant legal changes that could affect sustainability of their business or charitable pursuits. As a consultative attorney, Aurelia covers topics such as international business, intellectual property, entertainment, and corporate law matters to the establishment of private foundations, corporate compliance, and public disclosure. She works hard to help individuals and organizations secure their company’s names, products and services through education about the importance of brand protection in the global marketplace. Aurelia conducts seminars for entrepreneurs, artists, CEOs, consultants, accountants, and board members about brand protection and retention, trusts, charities and foundations development and maintenance, legal obligations, regulatory compliance, international business, corporate compliance, fundraising, tax obligations, and public disclosure. She is a workshop presenter with audiences ranging from solopreneurs to small businesses to Fortune 500 executives. During these seminars, she addresses legal issues such as international trade, international business, international intellectual property, and corporate concerns. Aurelia is also a college professor, teaching courses on Business Law, International Business and Political Science. Ms. Mitchell Durant has served on the board of directors of several national organizations, leading to the successful development of fundraising initiatives and corporate governance policies and procedures. She served as President and General Counsel for KDBM International and guided KDBM International through a successful merger with the Lucentra Corporation where she recently assumed the position as their Chief Legal Officer. Aurelia gives businesses vital tools increase revenue, expand their marketplace, and diversify their products. She is also an international business consultant, designing and presenting international trade and international business curriculums. Aurelia is the Senior Managing Partner of AMD LAW. At AMD LAW, Aurelia manages a staff of attorneys and legal professionals in assisting clients in protecting their intellectual property interests and monitoring trade disputes, internet law, market accessibility, and domestic and international general import and export compliance. It is through her innovation, creativity, and dedication that Aurelia Mitchell Durant is able to perfectly meet the needs of her clients, assisting them in the protection and expansion of their businesses, internationally. Her extensive knowledge, dedication, and passion for protecting the intellectual property and facilitating the international business pursuits of her clients are what set her apart from others within the field. 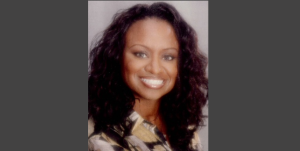 To get more information about Aurelia Mitchell Durant, Esquire, visit http://www.amdlawgroup.com or call (202)505-2995. 1. Please share with us what prompted your creation of AMD Law? Aurelia: I am an attorney dedicate to providing arming small to mid-sized businesses in protecting their brand and remain in corporate compliance. I am committed to helping entrepreneurs and creative folks with the development and maintenance of their business concepts and ideas. I used a slogan in my business that says that “we allow you to safeguard your dreams by protecting your brand”. The firm is committed to protecting the interest of business owners and giving them to comfort while they busy themselves with growing their business. Aurelia: My typical day starts very early, I set several categorized alarms on my iPhone, the first starts at 5:30am, this wake-up call is called “morning glory”. I start every morning off with prayer and reflection. The second alarm goes off at 6:00 am and is entitled “get moving!”; this is the alarm that gets me focused on the tasks of the day. Rewind a bit, each evening I plan the next day’s tasks. I have learned that if I do not plan my days and focus them of 3-4 key tasks I am not as productive as I could be. I use a series of reminders to keep me focused on my key tasks throughout the day. The life of the business owner is often full of distractions and attention zappers, therefore, the reminders through the day keep me focused. Typically, I am out the door by 7:30 am and headed to the office or some other location. On the way into the office, I check the voice mail from the previous day. I spend most of my day talking to my staff with client appointments mixed in throughout the day. In a given week, AMD Law focuses its attention on directly connecting with clients during normal business hours and relegating other tasks such as blog writing and responding to email communications for after hours. As such, I spend most of my days talking on the phone or in client meetings. The bulk of my staff is virtual so communication is very important, by the end of a typical day, I am all talked out. I conclude the official work day at about 4:30 pm. I spend the evening with my family. However, from 4:30 pm to 9:00 pm, I am still available to my staff via text message only. I respond to emails that I missed during the day at 9:00 pm. I flag the emails of concern during the days and have set an alarm on my phone to remind me to respond to those emails before ending my day. Typically, at 10:00 pm, I review my task list for the current day and plan for the next day. By then, it is 11:00 pm and I am exhausted. A great friend introduced me to a method of meditation which focuses on “walking through your day”. This is where you think about all of the interactions you had during the day and reflect on those experiences and how you felt. This practice is great way for me to bring the day to a close so that I can go to sleep and “open” the next day and start the process over again. Aurelia: I cannot function without DropBox and Google drive on my smart phone. A new program that I love these days is Insightly for customer relations management. Aurelia: Develop and intimate relationship with your smartphone! My iPhone is critical to my success and sanity. I have tried to use a paper calendar but invariably my constant computer use has made rendered my handwriting at times illegible even to me! Aurelia: The first best advice I received when I started my career was to “do what you love!”. Every successful person says that and we have all heard it and it is absolutely true. I spent many years of my professional life focused on revenue generating activities that I did not love. I was successful but unfulfilled. My feeling is that the pathway toward living fulfilled life begins with understanding who you are and what is important to your inner self. This exploration can take weeks or years but it is critical to your happiness. 6. Given the current economic climate, what has been your strategy for building awareness of AMD Law? ( what you do for short term and long term growth)? Aurelia: The short term and long term goal of AMD Law is to provide good solid information to business owners about brand protection. We have started an internet law practice area to address concerns about cyber concerns such as domain squatting and inadequate website privacy statements. AMD Law strives to share current content about the ever changing brand protection arena. For most business owners, brand protection is part of their business legacy. The well-crafted and well-protected business brand can be as timeless as Nike or Exxon. AMD Law is committed to the business owner that has that long range vision. Aurelia: My proudest accomplishment to date has been to broker the sale of a company I assisted from its inception, KDBM International. The sale was a great accomplishment for the organization and its employees. Aurelia: Balance? I am still a work in progress where balance is concerned. I love what I do and like to do it all day. Aurelia: My most rewarding charitable involvement is a very recent one. I have a client who has a human interest initiative – they are a consulting firm that assists businesses on exporting their product and services outside of their home region. This organization focuses on education their consulting client regarding the effect of globalization on the international community. The organization provides educational programs on current and timeless subjects such as human trafficking, global warming and poverty. I have joined their roster of speakers on this topic and have introduced this initiative to AMD Law. Aurelia: My late grandfather has influenced my career the most. My grandfather, Theophilus Sockum, was the earliest of my family members to attend college. He attended Delaware State University in the 1930s, which was unprecedented for native and African American at that time. My grandfather’s example lead to my desire to go from a challenged life in inner city Philadelphia to attend college and law school. Aurelia: Be a student of your business first. Know who the players and thought leaders in your industry, study their habits and patterns. Merge their habits with your own good habits, get an accountability partner to help you address and diminish your bad habits. Also, surround yourself with good people- do not be the smartest person in your group.